New wood burning stove. Very cosy! 'Fallow Deer' is a real life Hansel and Gretel-style cottage for little ones with a healthy dose of style and luxury for parents too. 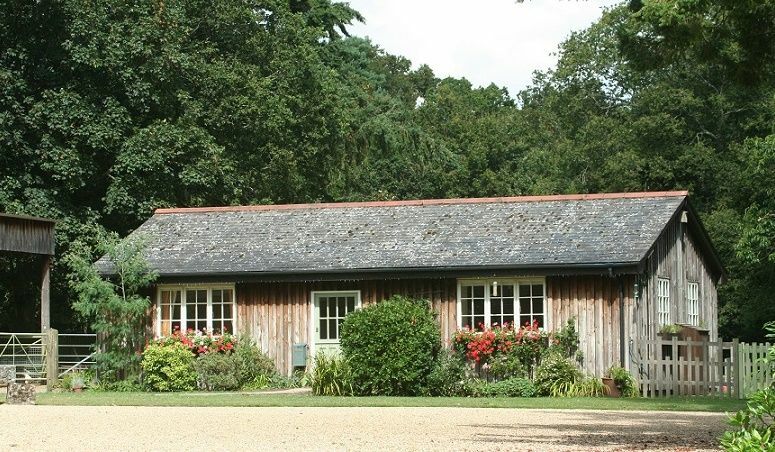 This pretty timber clad cottage is nestled in the heart of the New Forest National Park yet just 20 minutes from the coast, and has the added bonus of 17-acres of private fields and woodlands shared only with the home of the cottage owners and a gaggle of animal friends such as the ever popular rabbits, guniea pig and Shetland pony. It’s the perfect rural hideaway for a family of four looking to escape to the country in search of rest, relaxation and exploration! 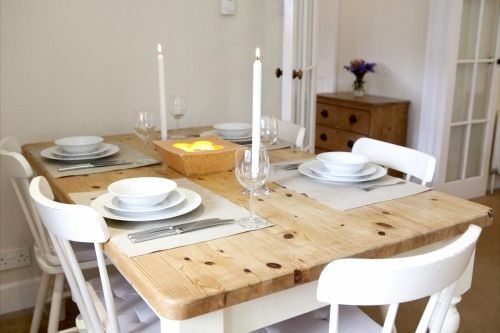 The house has been thoughtfully finished with families in mind and a delicious freshly baked cake, selection of homemade jams and a chilled bottle of wine are ready and waiting to put guests at ease on arrival. Once settled in, there’s all host of things to do, keen walkers and mini adventurers can don their wellies and head straight to the woods where an array of walks and wildlife await or, for a special treat, head out to the new Peppa Pig World which is just a short drive away at Paultons Park. Parents need not feel left out as the owners, grandparents themselves, have managed to create a haven of relaxation - perfect for grown-ups in need of a stress free break! The cosy house has a whole range of thoughtful extras more befitting to a boutique hotel than a country cottage. The fridge can be pre-stocked with online shopping groceries so parents’ barely need to lift a finger, perfect after a busy days exploring. For romantic nights out a babysitter can be arranged whilst mums in need of a pamper can make use of the visiting beautician who can pop into the cottage for a spruce up on request! Latest News! Guests can now play 'spot the pony in the meadow' or stargaze from a new (Oct 2015) hot tub in the cottage's private garden. The property is set on one level, perfect for families with two bedrooms; a double with king sized bed and pretty twin bed room which can be zip-linked together to form a further king size double. Both bedrooms are finished with luxurious French linens and each contains a wooden cot bed suitable for ages from newborn to toddler. There's a family bathroom with a spacious bath and shower, finished with plentiful fluffy towels and luxury toiletries. The open plan living area has lounge area complete with comfy sofas, a large flat screen TV, DVD player, music system, free WiFi and French doors which open out onto the cottage's private enclosed garden with its stunning views over the fields and woodland beyond. There's a 6-seater farmhouse dining table, a breakfast bar and well equipped kitchen complete with dishwasher. The owners of Fallow Deer also have another two bedroom cottage in the area, Hyde Paddock which can be viewed here or via the similar accommodation button beneath the property details. For mini guests in need of a treat there are some great options within a short drive including Longdown Farm with its range of friendly farmyard animals, indoor ball pool and BIRO wooden play equipment zone or Paultons Park which has a big range of toddler rides and is home to the new Peppa Pig World . Lymington is well worth a visit for its great selection of restaurants, boutiques and bistros, which includes the child-friendly Vanilla Bean Café – great for Sunday brunch. The owners of Fallow Deer also have another two bedroom cottage in the area, Hyde Paddock which can be viewed here. If your dates are already booked at Fallow Deer, the owners manage another wonderful cottage in the same village called Hyde Paddock. Use the purple 'similar accommodation' button at the bottom of the overview page to find out more. The cottage is just over 30 mins drive from Southampton airport. 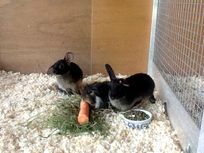 The cottage has its own gaggle of animal friends with a shetland pony, pigmy goats, rabbits and chickens, little ones can also get involved in daily egg collecting. Guests can now play 'spot the pony in the meadow' or stargaze from a new (Oct 2015) hot tub in the cottage's private garden. Absolutely loved our stay, loved the hot tub, the fire, great facilities to cook and fab gear for babies / toddlers. Also super friendly hosts. Such lovely people. Make us always feel very welcome. Wonderful stay! It was our first holiday as a family and we couldn't have asked for more. The owners have thought of everything and were so welcoming. Simply wonderful! We had the most wonderful stay at Fallow Deer, Joce and David were amazing hosts providing lots of little touches that were so appreciated, especially after a long journey. Joce was so patient with our toddler and let him meet all the animals and even have a ride on Mouse the pony. We took full advantage of the recommendations for days out that David and Joce gave us and they were all perfect, we couldn't have asked for more. We can't wait to book to come again. We had a wonderful long weekend at Fallow Deer Cottage. David and Jo's were the perfect hosts; friendly with some good suggestions for things to do with our 20 month old. Would highly recommend. We had a fabulous holiday here this summer (2018). Beautiful, fairy-tale cottage with lots of thoughtful touches, it had everything you could want - ideal for families with little ones. Lots to see and do in the area, and my two little boys were very excited to come back to the cottage each day to see the animals and "help"! The owners were really friendly and helpful. We couldn't have had a better holiday - we will definitely be coming back. We had the most wonderfully relaxing stay at Fallow Deer cottage. Joce and David are such warm and hospitable hosts, they really made the holiday for us. You can tell they love what they do. The hot tub at the cottage is FANTASTIC (I highly recommend a night time dip under the stars!) and all the animals are wonderful. Our kids loved their pony ride - they haven't stopped talking about it! The surroundings are just so special. It's a magical location - peaceful, restorative and there is so much to do on the doorstep. I can't recommend it enough. The only problem is that you will never want to leave! Wonderful cottage, well equipped for small children. My boys loved seeing all the animals in the morning, the adults loved the hot tub (and all the animals too)! Friendly hosts who ensured we had a comfortable stay. We hope to return! This was our second time staying at Fallow Deer and it was as great as we remembered from the first time. David and Joyce are lovely hosts who think of everything to make a stay perfect. Little touches like taking in our shopping delivery ready for when we arrived and all the baby gear provided make all the difference. Our kids ( 3 year old and 19 months) had a great time playing in the garden and seeing the animals and our eldest loved his pony ride. Plus there's lots to do in the surrounding new Forest. You really can't get better than having a holiday here. An excellent cottage for any family with young children. The owners are wonderful and have thought of just about everything. We had a fantastic time - thank you! This is the third time we have stayed at Fallow Deer and we have thoroughly enjoyed each stay. The location and accommodation are lovely and the New Forest is a great place to explore. David and Joce are so friendly and welcoming and the children love seeing all the animals. No doubt we'll be back! This is our second stay at Fallow Deer. We really can not recommend highly enough. The cottage is cosy and has everything you could need and more, the area has so much to offer for young families, and the hosts are so kind, generous and welcoming. We will definitely be back next year. We had the most wonderful week in the New Forest at Fallow Deer Cottage. David and Joce were excellent hosts: full of ideas on what to do (whatever the weather! ), where to eat (breakfast, lunch or evening meal!) and they were always friendly and approachable. Their place is fantastic: staying on a farm next to so many animals (including THE fallow deer! ), allowing them a pony ride, providing so many toys and play opportunities for them all added up to making the trip magical for our boys and our family. I would not hesitate for a moment in recommending this place to family or friends and I hope we can stay again if we visit the New Forest again in the coming years. The owners were absolutely lovely, very friendly and accommodating to our needs. The setting is idyllic, the hot tub amazing and the animals I'm sure would keep children entertained for hours (ours a little young at 5 months). The accommodation is compfortable and cosy. Would definitely recommend. 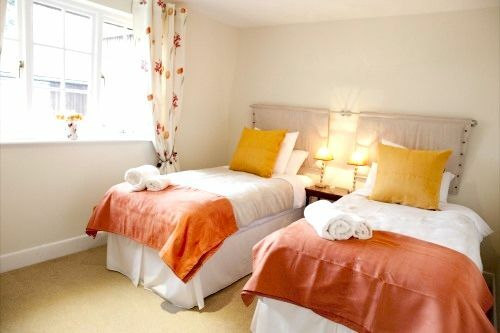 Fantastic Baby friendly accommodation, in a perfect location for exploring the New Forest and surrounding area. We came with 10 month old Twins and felt very comfortable and relaxed. Hosts were fantastic. Highly recommend. Fallow Deer is a simply magical place - we came here for a few days' holiday with our 2 year old and 1 year old. It exceeded expectations in every element: the cottage is charming, immaculate and perfectly appointed (complete with toys that delighted the kids - and a hot tub for the parents at the end of the day! ), we had a wonderful time meeting the animals, including ponies, rabbits, guinea pigs, chickens, and the hosts Jose and David couldn't have been kinder or more generous and hospitable; there was fresh bread, freshly laid eggs and brownies waiting for us upon arrival. There are also so many fun days out within a short drive from the cottage, highlights being the steam railway and Exbury Gardens. Fallow Deer is a truly exceptional place - the kind that you want to tell your friends about. We are already looking forward to booking our next visit (and interesting to see from the guest book how very many of the bookings are repeat visits!). Our 5th visit was as excellent as ever, with wonderful hospitality from David and Joce, a great location and peaceful surroundings. Our children loved the garden, bikes, animals, toys and we all enjoyed the walks nearby. Nearby Moors Valley Country Park was a favourite too. Would highly recommend for all ages. Absolutely ideal for parents to relax and children to play safely. The owners, Joce and David, were incredibly kind and provided us with everything we needed to enjoy our stay in their lovely bolthole. They lent us bikes with baby seats attached, recommended local child friendly pubs and places to go for the day. On our last day Joce even got the pony out for our little boys to have a ride on. The location is excellent with great walking and bike trails just up the road, but by far the highlight for us was popping the boys in bed then jumping into the hot tub with a glass of fizz to enjoy under the stars. We didn't want to leave and have already recommended their place to many of our other parent friends! Thanks so much David and Joce. We will be back! A wonderful little cottage - just perfect for a family with two small children and in a sweet little spot! We stayed with our twin boys for 3 nights and had a fabulous time. The cottage is spacious and yet full of baby equipment and toys which the boys loved. We had time to relax and enjoy the hot tub which was a welcome break after a busy day out and about. We have stayed in a few properties with the boys and this was by far the best and deserves all of the reviews. The key difference is the lovely owners who went out of their way to be accommodating, kind and just simply lovely. The boys loved pets corner and watching the ponies, donkey and deer wander past, we loved the fresh brownies ! There was so much to do at the cottage and in the surrounding area that we can't wait to go back again. Thank you for a wonderful break. This property is everything and more. Its so well catered for the children- even more so then our own home! I loved the fact that the hot tub was perfectly positioned in the garden so I could keep an eye on everything going on while I relaxed. The hosts were so helpful and an absolute joy to meet. The location of Hyde Paddock is just gorgeous. The beautiful country lanes would lead straight to grazing wild ponies... and there was a great pub that served a wonderful bottle of malbec. Hyde Paddock is an absolute gem of a property. Id' move in permanently if I could. Gorgeous, welcoming cottage, perfect for our family ( with 2 boisterous boys 2 and 5). We loved the hot tub, pets corner and bonus pony ride. There were also welcoming touches like toys, brownies, fresh eggs. It was a relaxing weekend for us, and super fun for our children who want to move to the new forest. Even in February there are tonnes of local activities, gorgeous wildlife and forest walks, fun days out at Mudeford ferry/spit and Moors County Park. We squeezed in Peppa Pig world on the way home. Highly recommend, Joce and David are gracious hosts. Fallow Deer has it all. A stunning, well equipped property, in fabulous location and the most welcoming and helpful hosts. A perfect holiday - thanks! This was the most wonderful relaxing short break we've had. The hosts did so much to make our stay as relaxing and fun as possible. What a wonderful place to stay with everything you need and more! David and Joce are amazing hosts and went out of their way to make our stay very special. Our 14 month old absolutely loved the freedom and space to explore and Joce spent so much time introducing him to all the animals. We will definitely be returning for a longer stay next time. We booked a last-minute holiday at this cottage and loved every minute of it. David and Joce have thought of everything, from toys and books for the children to a delightful wood burning stove for the adults to enjoy after bedtime. The whole family enjoyed visiting with the animals - particularly Mouse the pony! The cottage is a short drive away from the coast and several picturesque forest walks, which were beautiful even at the height of winter. Our daughter (age 3.5) was totally enthralled by the play trail at Moors Valley. We can't wait for our return visit! We stayed for 4 nights and everything was perfect. David and Joce were very accommodating and had thought of everything. Thy helped us plan where to go and made suggestions about things to do. We had such a great time and our 18 month old loved it. He had great fun running around outside, seeing all the animals and playing with all the toys inside the cottage too. We will definitely be returning. We have just returned from a four night stay at Fallow Deer Cottage. Having read all of the reviews our expectations were high, and we were not disappointed. David and Joce are superb hosts. Very welcoming and knowledgeable about the local area. They had great suggestions of things for us to do, which took all effort away from us in plannning our days. There is so much to do in the area, and we all thoroughly enjoyed ourselves, spending time at the beach, walking in the forest and enjoying pub lunches. We feel as though we only scratched the surface and will definitely be making a return visit. The cottage itself has everything and more that a family could want or need. It's very cosy, and really feels like a home from home. We cannot fault anything about our break, and would recommend for families of all ages as there really is so much to do in the area. The accommodation and hosts made the holiday all the more special. These are wonderful properties, ideally located for the New Forest and excellently equipped. We stayed at Hyde Paddock last year and Fallow Deer this year (about half a mile away). Both gave us wonderful comfort. Run by Joce and David who go the extra mile to make you welcome while at the same time not encroaching on your privacy. Arrived to home-made brownies and bread and a very welcome bottle of Prosecco! Joce very kindly introduced us to the animals she looks after - chickens, guinea pigs, donkeys, ponies (our little one had a ride and now wants lessons! ), Bounce the dog and Rolo the cat. Can't speak highly enough of these properties. They are a great starting point for exploring the New Forest - everything is a relatively short drive from Fordingbridge. Already planning to book a break there again next year. Wonderful weekend at Fallow Deer. Fantastic hosts, accommodation and choice of activities, will be booking again. Lovely hosts. Beautiful location. Very relaxing. Thank you so, so much to Joce and David for making our week's stay so wonderful. The hospitality, location, accommodation and animals were all just perfect. We didn't want to leave! Highly, highly recommended! Very lovely cottage with sandpit and slide/swing in garden and hot tub for adults. Owners have a small petting farm and ponies and very warm welcome with lots of tips for visiting the area. Home made brownies, bread and prosseco were a nice touch. Owners do have two large dogs which are friendly, so if you and your children aren't particular good with dogs then it is a bit of a hassle to get in and out of the cottage. The bedrooms are close to the chickens so it could be loud at 5am in the summer morning. We absolutely loved our stay at Fallow Deer. The warmth and friendliness of the owners, the great location with so many things to do, and our very comfortable little cottage all combined for a very happy family holiday. Wonderful cottage, greats hosts, plenty of things to do in the area. Great place for adults and kids. We loved our stay here and we will be back for sure. This was our 4th visit to Fallow Deer, and it was as lovely as ever. 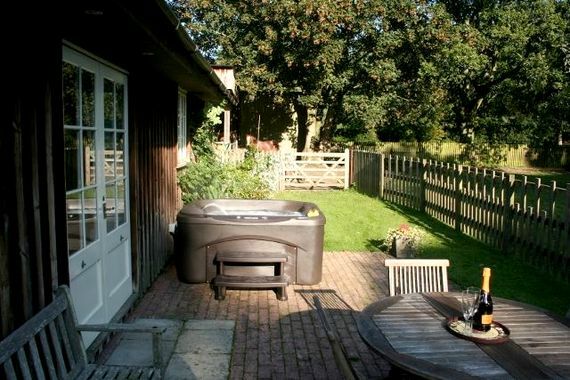 Joce & David are the perfect hosts - and the cottage is a winning combination of being incredibly child friendly, being very peaceful, being suitably luxurious (love the hot tub) and really well located for exploring the New Forest. We are already looking at dates for another visit. We had an amazing family holiday at Fallow deer. Our 3 year old twins were in their absolute element, animals! Right outside the cottage there are rabbits, guinea pigs, chickens (with amazing eggs), a lovely Shetland pony called Jill which the kids got to ride, ponies and a donkey! So if you have animal loving kids this place is great. So much to do without even getting in your car! David and Joce would bend over backwards to help out and would always be around to offer recommendations for things to do or family friendly restaurants to try (if you are staying on a Thursday the local pizza oven in a van was great!). The accommodation suited us perfectly, the hot tub and log burning stove were perfect after a long day exploring a wonderful part of the country! Thanks David and Joce, we will be back next year! What a brilliant place! The hosts Joce and David made sure that we had everything we needed and were fantastic with our daughter who hasn't stopped talking about all the animals she made friends with since we got home. A perfect antidote to London living - fresh air, space, animals and nearby beach. We will definitely go back. We had a fabulous break. The cottage has everything you need to take little ones for a break - our boys loved the selection of toys, great outdoor play equipment, including a tractor to climb and pretend to drive. The hosts Joce and David went out of their way to make sure we had a great time. Joce spent time showing the boys the animals, letting them look, hold and even ride the Shetland pony Jill. The cottage is well appointed to visit some great local attractions, we loved Christchurch Harbour and Moors Valley park and being close to M3 made travel easy. We will definitely be back! The hospitality shown by Joce and David truly went above and beyond. Superb! We've just returned from a wonderful stay at fallow deer and wished we could have stayed longer. The setting is magical. The owners were so friendly and went out of their way to ensure we had everything we needed. Our friends stayed at the owners' other nearby property Hyde paddock with their 7 month old daughter, which worked perfectly so that we could enjoy a New Year's Eve celebration together. We were able to put the babies to bed, pop open the champagne, munch a delicious feast, followed by a relaxing hot tub under the stars - bliss! Almost like our pre-baby holidays! We will definitely return as our 2 year old daughter adored the animals and we loved the luxury retreat! Thank you so much. Had a wonderful stay, Joce and David were incredibly warm and welcoming hosts with a wealth of knowledge on baby friendly activities in the local area. Hot tub was a real treat for tired parents even on a mid november night! Brownies were absolutely delicious - i even took down the recipes. Just a lovely lovely place to stay :). Really pleased to find this place, we had a lovely long weekend with so much to do within short drive/walk. Cottage is clean, well laid out and kitted out, perfect for our family of 4(kids 5 & 6), kids loved jaccuzi, ponies, goats, dogs, rabbits and the deer roaming freely round the property was amazing. Nice pub in easy walking distance. See you again soon. Had a fab weekend here in new forest. Particularly good bits - the hot tub! The setting - stunning, the animals, swing, slide, sandpit, etc, the welcome, good recommendations on where to go and the owners taking in and unpacking our Tesco delivery!! Fab! Lovely place set in beautiful grounds and the magnificent New forest. So much to do and see. Every worry taken care of and thought of and heaven for both parent and todler. This is a lovely place for children. Any cottage with a big garden, which includes a giant sandpit, play equipment and borders a field full of animals will be a winner with any child! 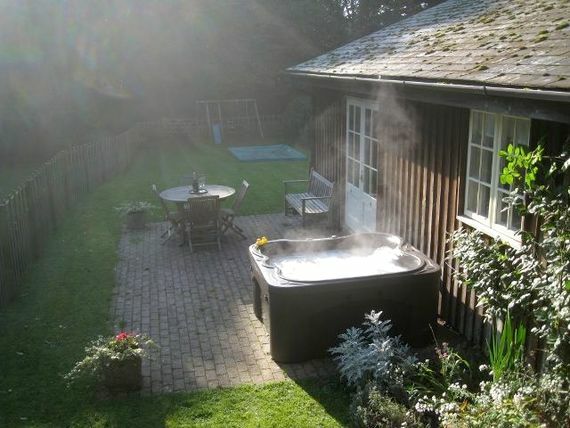 Add to that a hot tub for the adults, lovely owners and a great sized cottage you will not be disappointed. Everything was lovely and fresh and clean and well maintained. We were greeted by the owners with freshly made (home baked) brownies and bread and a bottle of fizz which was a lovely touch. Our two spent the week mesmerised by the field next to the house (horses, donkeys, deer & goats) and enjoyed going in to the barn to visit the neighbouring chickens, rabbits, guinea pigs & quail on a daily basis. On our last day our youngest also enjoyed a ride on the Shetland Pony, Gill much to her delight. All week we were looked after really well by the owners who were really hospitable and made us feel really welcome. Thank you! We had the most wonderful time- Joce and David couldn't have been more accommodating. Virtually everything you might need for a baby and toddler (we had both) and more- the animals were a huge plus for the kids, and the hot tub was a huge plus for us! Highly recommend it to others and we will be back. Had a wonderful stay, the hosts are friendly, kind and super accomadating. My family and I are looking forward to visiting again! This was our third visit to Fallow Deer, which tells you all you need to know. 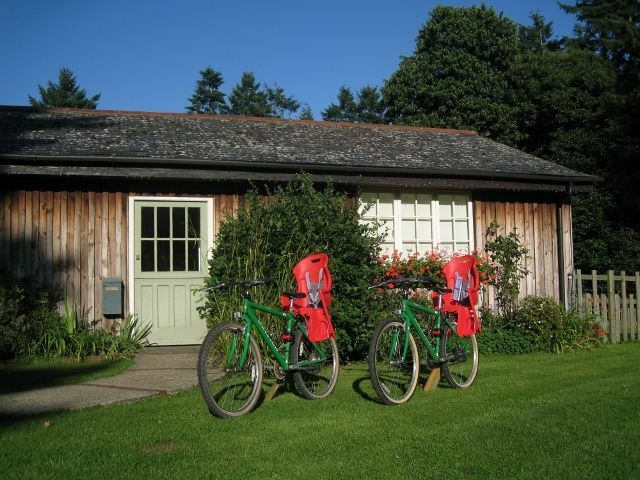 It simply ticks all the boxes: the accommodation is lovely, it's wonderfully safe, the kids love playing with the animals (and playing the garden), it's well located for exploring a beautiful part of the world, and the hosts are lovely people. The newly-installed hot tub is the icing on the cake for the adults. We had such a lovely relaxing holiday at Fallow Deer Cottage. Highlights were the hot tub, the well appointed cottage with a beautiful enclosed garden, pony rides and the warm welcome from David and Joce. Loads to see and do nearby- we loved Moors Valley country park, Paultons Park, Beaulieu, Mudeford Spit to name a few... we'll be back next year no doubt! We had a wonderful week relaxing as a family and enjoying the beautiful New Forest. Lots of brilliant day trips nearby that the owners know all about. Excellent hospitality - the whole family were welcomed and looked after perfectly from start to finish. Highly recommended. Very relaxing and a great welcome. Definitely recommend this stay! Perfect for families. Despite mixed weather we had a great time at Fallow Deer cottage. Very welcoming owners who had lots of advice about the local area. Couldn't be a better location for visiting the New Forest. Our 16 month old enjoyed meeting the animals at the cottage and playing in the garden and when he was tucked up in bed at night there was the hot tub for us to enjoy along with the welcome gift of a bottle of prosecco and brownies. We will definitely visit again ! David and Joce are lovely, gave us a great welcome and genuinely cared about making sure we had a wonderful holiday, from the amazing homemade goodies, bottle of fizz and fresh eggs to helping us plan our outings. The cottage is great, a home from home and the kids loved the big garden (especially the sand pit) and the wonderful animals, my son didn't want to leave and said he can't wait to come back next year! What a great few days we spent at Fallow Deer cottage, perfect for young children, and made to feel so welcome. A big thumbs up! This place is so highly rated for good reason. It is wonderful. The accommodation is lovely, cosy and luxurious and perfect for children. Our toddler loved it. There is an indoor petting area with chickens and rabbits and a bottle-fed lamb called Cecil (although he'll be going home soon). 2 lovely dogs, and donkeys, ponies and a horse. There is a hot tub and lovely wood burning stove a well-equipped kitchen and 2 comfortable bedrooms. There is everything you'd need for a child. Toys, including no bath toys, cot bed, high chair and more if you need. Lovely and relaxing for parents after putting little one(s) to bed. The pre-arrival ocado shop made everything much easier. The homemade brownies, bread and eggs from their own hens were lovely. (And delicious!) It was a brilliant week. With loads to do in the surrounding area. We loved peppa pig world, long down farm, tall trees wood, exbury gardens. Joce and David were on hand to help out with suggestions of things to do. Lovely friendly hosts. They also saddled up little Gill for our son to ride which he loved (mostly)! Lovely property, great location. Perfect family holiday. This was our second stay and as before we enjoyed it enormously. David and Joce are incredibly friendly and hospitable and great with children. Our children particularly loved the animals, walks in the surrounding area and all the toys. For us, the addition of the hot tub and wood burner were most welcome! 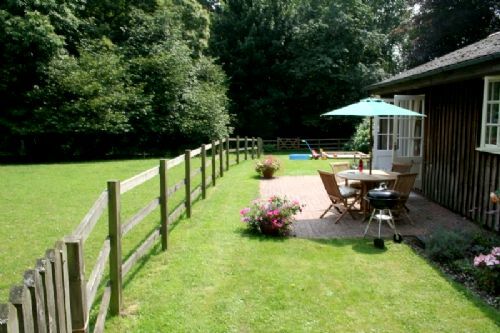 The location is superb, very quiet and secluded but with easy access to places to eat and New Forest attractions. We very much hope to come again. This was our second stay at Fallow Deer Cottage and it was every bit as magical as our first. The cottage is well equipped - with everything you need for the children thrown in - as well as been homely and cosy. Having all of the animals literally on the doorstep was a wonderful experience for our 4yr and 18 month olds - riding and grooming the wonderfully patient and gentle Shetland pony being a particular highlight for both. The thing that really sets Fallow Deer ahead of the pack however is the endless hospitality David and Joce provide - from the warm welcome and wonderful selection of treats provided to the great advice on day trips and activities for the children, they couldn't do more to make our stay even more enjoyable. I couldn't recommend a visit more. Such a lovely place and fabulous for animal lovers. The owners were so kind and had lots of time for our little one, talking about the animals and taking her for a pony ride. I couldn't recommend this place enough. Will be booking again. Amazing little bolt hole that is perfect for a young family. Having the outdoors on your door step with such accommodating owners was a breath of fresh air. Our 2.5 and 1 year old loved the access to the ponies, chickens and rabbits. Add in the home cooked bread and brownies on arrival and you can't go wrong. We had such a wonderful stay in the cottage. Every day there was something to surprise and delight that exceeded our expectations from Joce and David. On arrival the freshly baked bread, brownies and eggs were so welcome and thoughtful. The next day, Joce brought us freshly laid quails eggs for our daughter and got us a lovely local babysitter right at the last minute so that we could have a meal out together at a restaurant they love (and managed to get us a sought-after space in after making a phone call!). The next day, they gave us great advice and local tips, the day after that Joce had saddled up the Shetland pony for our daughter (14 months) to have her first little ride... really, the whole experience was just brilliant from start to finish. The property is clean, cosy and so well-equipped (we didn't even need to bring any toys), and you can see the ponies and goats out of the windows, which was lovely. It's the type of place where I really didn't mind staying in and cooking for evening, as it felt like our own. The hot tub was also a fun edition, looking out into the blackness of the Forest. Awesome. There are local walks to take (and pubs! ), but Joce and David were also full of good tips, and clearly very knowledgable (and proud of) the local area. It was such a lovely change from the London noise we're used to. The whole family has never slept so well, what with the nature-packed days and the silence of the Forest at night. We felt really sad to leave! Fantastic weekend. Beautiful surroundings and David and Joce were wonderful hosts. Our 3 yr and 18 month old boys had a fantastic time with all of the animals and could have stayed for days. They recommended some great age-appropriate local activities for the children and restaurant/pubs for the grown-ups! Outstanding. 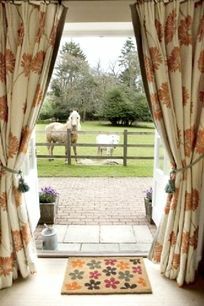 Parents with little one's will not find a better set-up nor a warmer welcome for a weekend in the countryside. The hosts put so much effort and thought into making this an enjoyable weekend for the whole family. We loved the new private hot tub under the stars, the ponies (riding, feeding, brushing), petting the rabbits/chickens/guinea pigs, playing with the two gentle dogs, the cottage filled with toys/books/games, the sandpit and diggers, the swings & slides, only 1hr 40 drive from London. The kids themselves will show you if they've had a great time, our 5 year old and 2 year old cannot wait to return. If you are a parent in London looking for a break in the countryside you will not find any better than Fallow Deer (we should know, we've spent the last 5 years looking for a place like this). We spent 3 wonderful, magical days at Deerholt, with our amazing hosts, the Humberts. The whole trip was sheer joy for a 2 year old, with every animal imaginable literally right on our doorstep. The cottage garden looks into a paddock with ponies and goats. An enclosure with chickens, guinea pigs and rabbits is just outside the cottage door, and even an out of use tractor for my daughter to sit on. The owners could not be more friendly or accomodating and were always on hand with fantastic recommendations for daytrips, or to introduce my little one to any of the animals. The absolute highlight of the visit was a ride on "Little Jill" the Shetland Pony. The cottage is incredibly well equipped for children. You don't need to bring anything extra - baby equipment, child friendly cutlery and crockery, and plenty of toys are all provided. We loved every second and will definitely be back. Absolutely magical 3 days with the Humberts and all their wildlife. Total heaven for any toddler. Can't recommend highly enough and we will definitely be back. We had an amazing holiday at Fallow Deer - David and Joce (the cottage owners) couldn't have been more friendly and helpful!u00a0 They gave us brilliant recommendations for local walks, attractions and pubs. They also treated us to homemade brownies and even gave our two year old son a ride on one of their ponies - the highlight of his trip!u00a0 The cottage and garden were perfectly kitted out with everything we could possibly need, including lots of toys for our little one. Probably our best family holiday so far! This was our third trip via BFB and was hands down our favourite. Although the other properties were also lovely, provided everything you needed for the kids and were in beautiful settings, you just can't beat the whole experience provided at Fallow Deer by Joce and David and their very friendly animals. Joce seems to have a magical way with animals and kids and the interaction between them all was something very special. 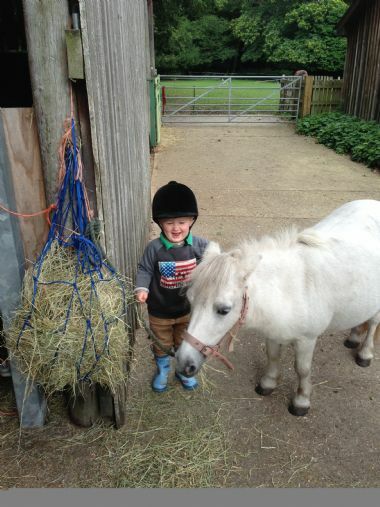 Our boys (2 and 1) got the chance to groom the little Shetland pony Gill before riding her gently around the garden! The boys also made firm friends with the dogs, Bounce and Wiggle, and the highlight of each day for the boys was to get back to the farm to see all the animals, wander about, riding on bikes and having a sit on the tractor. Should you need anything or have any questions, Joce and David can usually be found but are not at all intrusive. They are very approachable and happy to help. None of us wanted to leave and our only problem now is working out when we can go back. Fantastic location, cottage and owners. Couldn't fault anything about the stay! Very relaxing. We had a delightful stay at Fallow Deer Cottage with our 3yr and 3 month old children. The location is very peaceful with a lovely big garden and sandpit. Our 3 yr old had his first go on one of their bicycles and enjoyed the animals immensely. There are lots of things to do in the area but our favourite was going for local walks and not using the car at all. David and Joce were extremely hospitable from the outset providing us with freshly baked bread and brownies and eggs from their hens, and being very friendly and patient with the children. The property contains everything you would need. I cannot recommend a stay here highly enough - I hope we can return again soon! We had such a lovely stay - the owners were so warm and helpful. The kids loved the animals and all the garden facilities and we loved how easy it was to stay here with small kids. We even managed to sit down on recliners and relax for 10 minutes while they played in the sandpit !!! A feat so far unheard of on our holidays with little ones. Having a BBQ whilst watching the deer come out to graze and ponies stroll by was magical. Gorgeous setting and a really lovely break. Thank you. Fantastic set up for the children, extremely welcoming and friendly hospitality. All in all close to the perfect baby bolt hole. We've just returned from the most fantastic holiday in Fallow Deer cottage. Our four nights felt like much longer. We couldn't have found anywhere more perfect for our very active, animal and tractor loving toddler. Joce and David were the most welcoming hosts and Toby is still talking about them! With the beautiful Mudeford beach close by, New Forest walks on the door step and Peppa Pig World an easy drive away, this couldn't have been a better location. We'll certainly be coming back! A lovely cottage in a beautiful setting. Our 5 year old loved the garden & animal corner plus the horses & goats. David & Joce made us feel so welcome and had lots of good tips re the area. Beautiful place to stay, everything available and animals were an amazing treat for the children. Couldn't have wanted more, were made to feel so incredibly welcome. Will not hesitate to be booking again to return in future. This is a perfect place for a young family. We couldn't have had a better time. Joce and David are so welcoming and took the time every day to show our little boy the animals, help him ride the pony, collect eggs and chat to him. We hope to return very soon. Really fantastic venue, cannot recommend it highly enough. The owners were lovely and added to the experience. Great location, lovely cottage. Would definitely book again. The photos don't do it justice! Really enjoyed our stay, joce and David were brilliant, our boys, 4years& 2years really enjoyed themselves and I'm sure would have been very happy staying at the property playing with the toys, being out in the garden and looking at all of the animals. We really appriceated the lovely welcome package and all the great advice on places to go with the Boys. We also have a 4month baby and it was great to have a lovely cot and a bouncer chair ready. The cottage is really well kitted out and we took advantage of an ocado delivery which was already put away for us on arrival. We will defiantly recommend this lovely cottage to our friends and know that the boys will be asking to come back very soon!! We have just had a wonderful week at Deer cottage with our 2 children aged 2 and 4. The cottage offers everything you need for busy little people and burnt out bigger people! There's a good mix of toys and comfy but plush furnishings and the open plan layout means the children can spread out while you can keep an eye on them! The owners made us feel very welcome with gorgeous homemade treats on arrival and shared valuable insider tips about the area while leaving us to rediscover it for ourselves. We all fell in love with their animals and my daughter had a little ride on their little Shetland under the careful guidance of Joce. The immediate area is so peaceful and you have open land for biking and walking with wild ponies and deer on the doorstep. Our children did their longest walks so far with promise of a good pub lunch and big sticks to find. We really didn't want to leave and will look forward to coming back soon. Lovely place, very well set up for young children. Laura the mobile beautician gave an amazing massage! Totally does what it says on the tin and more for a very relaxed, easy break with young ones. Charming and generous hosts were the icing on the cake! Joss and David (our hosts) were so friendly and welcoming, they were full of tips of what to do and where to go with our toddler. Very comfortable and cosy accommodation with loads of great toys (inside and out) for kids to play with. The home baked brownies were a lovely welcoming touch. Joce, David and Melissa are a wonderful family and fabulous hosts who work very hard to make their guests stay memorable. The animals really make it so much fun for the children and the horse rides were the icing on the cake for them! This was our second trip here (the only place in the world we've been back to twice) and we plan to return again next year! Third time visit for us here- we all love coming back again and again. So peaceful and beautiful location, great hospitality, all makes for a great long weekend. We all had the most amazing time. Joce and David are wonderful hosts, we were made to feel welcome the moment we pulled up on the drive. Warm and welcoming cottage in a beautiful setting. The kids loved all the animals and it's a great location to explore the Forest and beyond. We thoroughly enjoyed our first family holiday at Fallow Deer with our 11 month old daughter. 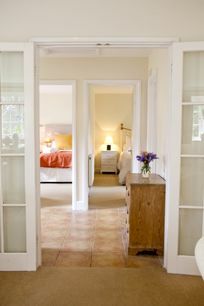 Joce and David were welcoming, helpful and extremely considerate and the stay was luxurious. We loved being in the country with their lovely animals, and enjoyed a peaceful and relaxing holiday, whilst our daughter had more toys than she could have dreamed of to play with and keep her happy! We would highly recommend Fallow Deer and will certainly be going back there ourselves. Simply brilliant with everything thought of for families and young children meaning you can holiday in comfort. Our week at Fallow Deer was the most relaxing since Sadie was born!! David and Joce made us feel so welcome and have created a true haven for parents and toddlers. We will definitely return and would recommend it to everyone looking for a relaxing break. We cannot recommend Fallow Deer highly enough. It is such a lovely haven and just brilliant for young children. The accommodation is spotlessly clean, comfortable and well equipped and the location is fantastic. Our children adored the animals, learnt all their names and still talk about them! The owners couldn't be more helpful and welcoming and they made the holiday so relaxing and fun. We explored a lot of the New Forest from there and it is stunning. There's such a variety of things to do - beach, boat trips, beautiful walks, parks, woodland adventure areas for children and of course peppa pig world (which was actually brilliant too!). We will definitely be going back. You can't go wrong! We had a lovely time and the owners went out of their way to make us and our children feel at home. Another fabulous week at Deer Holt. The children are already asking when they can come again! Our second trip back to Fallow Deer Cottage with Joce and David didn't disappoint. Everything was as good as we remembered. The children loved it - would thoroughly recommend this accommodation and area. Great cottage, ideal for small children and really friendly hosts. Thanks for a lovely week away. Very friendly hosts, Joce and David were really welcoming. 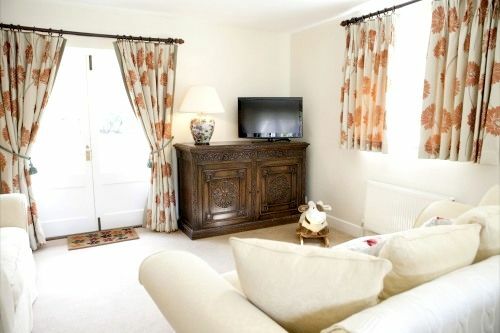 Fallow Deer Cottage is a fabulous little cottage in the grounds of the owners home. Joce and David are very attentive and wonderfully welcoming hosts as you become part of the extended family for your stay. The cottage has a lovely little fenced garden with a swing, slide and sandpit overlooking a paddock with two ponies in. 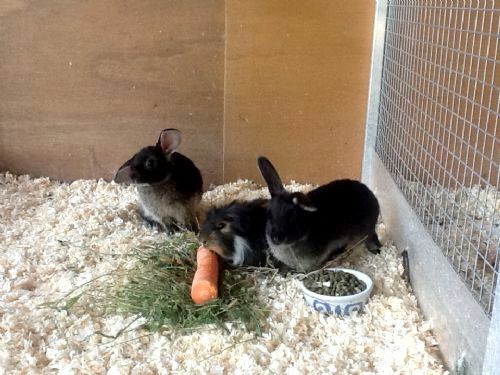 Just across the driveway is a covered area with a number of rabbits, hens and a guinea pig to keep the little ones entertained. The cottage is well located for access to the New Forest and we had a wonderful long weekend here. Thoroughly recommend this cottage and once you've booked it, look forward to the treats awaiting you on arrival! Great location away from it all but easy reach from London, loads for the kids to do with all the animals on site and beach / woodland walks etc and plenty of great local pubs. The owners make more effort than anywhere else that we've stayed, and that just makes Fallow Cottage a great place to stay. Fabulous place and the owners could not have been more welcoming and accomodating. Such charming people and we so enjoyed our time there. We have two kids (1 yr and 3 yr) and the place was so well set up for them. Loads of toys and space and no low hanging breakables! Made for a very relaxing stay. And the New Forest is a beautiful area with plenty of options for adventures. Highly recommended. I cannot say enough wonderful things about Fallow Deer. We had a wonderful time. It is a very special place. My eight year old son loved it as did his Grandma, Dad and Mum! It is truly magical. Caroline made it for us. She was so patient and kind and Dominic absolultely loved grooming Jill, the pony, and Harvey, the guinea pig. All the animals were so friendly and added character to a perfect cottage in a perfect location. Sadly we didn't get to meet the owners as they were away at the time but whenever we have communicated via email, David has been lovely and extremely helpful. A lovely added touch of home made chocolate brownies, home made bread, eggs and prosecco was very much appreciated and enjoyed. All in all we would love to come back and wouldn't hesitate to recommend this beautiful place. Thank you! We just got back from a fantastic break at Fallow Deer cottage. The owners David and Jos couldn't have been more welcoming and helpful. Our daughter (21 months) loved the pets corner and spent lots of time with the rabbits and chickens. She especially loved watching Jill the pony and the other new forest ponies grazing in the field. The swing and slide in the garden were also a big hit. We had a lovely day out at Mudeford Quay and Jos and David were really helpful in recommendations for things to do and trips out. We usually have a trip out to a local farm when we go away but with all the animals in our back garden we really didn't need to leave the cottage ! I can't recommend Fallow Deer highly enough. We will certainly be back! We absolutely loved staying here. Joce and David were so friendly and the cottage was very nice and comfortable. Everything was perfect about our stay. My 2 1/2 year old loved the animals, toys and pony. We definitely hope to return as the location was perfect to access local tourist sites. David and Joce were absolutely lovely as well! The setting for this cottage is absolutely wonderful. Our children couldn't wait to go outside when they got up in the mornings. We had such a warm welcome from our hosts and they made themselves available for tips and advice for the whole week. The on site animals were great and the sandpit and swings ensured that the kids were never bored, leaving us to sit back and enjoy the complimentary brownies and prosecco! Loved it, thank you! We had a truly wonderful holiday. The cottage had everything we needed and more for toddler and baby and a little bit of luxury for Mum and Dad too. Joc and David couldn't have been lovelier and provided lots of useful recommendations. The animals were a real hit with the children, especially Wiggle and Bounce and Little Jill. We plan to return and highly recommend Fallow Deer Cottage. Joce and David have the majic touch to provide a wonderful homely holiday. Lovely cottage in a lovely setting. We were made to feel very welcome and had a very relaxing break. We would definitely recommend a stay. A perfect setup for our nine month old crawling baby - we were able to prepare food in the kitchen and watch whilst she played in the lounge area. It was also all on one level. David and Jocelyn were extremely friendly and made us feel very welcome. The chickens, goats, rabbits, and dogs delighted our baby and she also thoroughly enjoyed sitting on Jill, the Shetland Pony! We would thoroughly recommend the experience and we hope to return in the future. Had a fantastic long weekend with our 4 year old daughter. David and Jos could not have been anymore accomodating, we arrived to freshly baked bread and chocolate brownies- of which my daughter has voted to be the best part of the weekend as well as the horse ride, the dogs, cat and the beach!! We were really lucky with the weather as it has been glorious all weekend, although I don't think the weather could have spoilt the weekend as it is such a beautiful place with fantastic hosts. Fantastic! We thoroughly enjoyed our experience at Fallow Deer. We were able to relax and enjoy ourselves with a toddler! Cottage really well-equipped with toys as well as lovely sandpit/swing/slide. Our daughter loved her ride on Gill the pony and meeting the rabbits/chickens (collecting eggs!) and baby chicks. We were very well looked after by Caroline and fresh baked bread, eggs and brownies on arrival was perfect. Couldn't wish for a better setting, so peaceful. Will definitely visit again as catered for all our needs and great places to visit nearby. 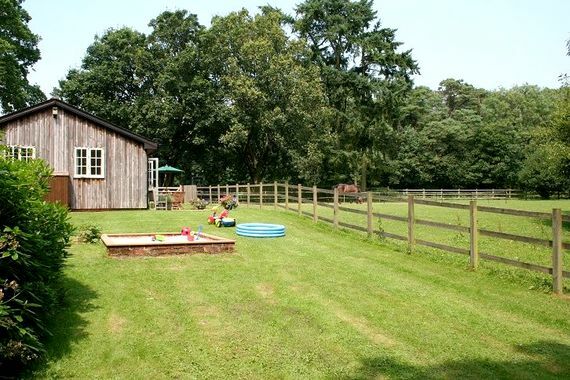 I couldn't recommend this BFB enough, the owners David and Jocelyn were so welcoming and friendly, the cottage is lovely with a pony in the meadow by the back garden, our 2 year old loved it especially feeding the chickens and rabbits, and having a ride on the pony. Generally the set up is perfect I would wholeheartedly recommend Fallow Deer for a really fun and relaxing holiday. 2nd visit in 2 months. Just as good as the first! This time we went for a week and we were really lucky with the weather. David and Joce were excellent hosts once again and cottage perfect for us and the little one. Fabulous base to explore the wonderful New Forest. Hope to return again soon. What a wonderful place to stay..the cottage is beautiful,my girls adored the ponies,dogs and chickens! But Jocelyn and David's hospitality and helpfulness are the key to the success..the home made cakes,bread etc and kindness were amazing! We had a lovely few days at Fallow Deer cottage. David and Joce were welcoming and friendly, and the fresh bread and brownies they made for our arrival were delicious! The cottage had everything we needed (including more toys than our 2 year old knew what to do with!) and was warm and cosy. Our 2 year old also loved riding their little pony. We're hoping to go back in the summer when, hopefully, it will be a little sunnier! The owners went the extra mile to ensure we were welcomed and looked after; attentive but not intrusive. 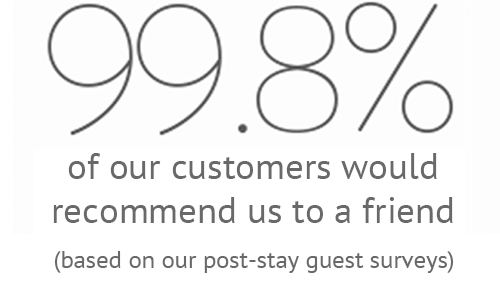 We had a great stay and cannot recommend them highly enough. We booked 4 nights here with our 15 month old. We were very apprehensive about how the little one would settle in. We need'nt have worried. Easy to find following the precise directions given, we were met by Joce who showed us the cottage and greeted us with freshly baked brownies which were lovely. 6 fresh eggs from the resident hens and a freshly baked loaf soon followed. Little one was initially apprehensive but after a minute in Joce's company and on being shown the array of toys within the property, our little one was soon off exploring the property on her own. The cottage itself is very homely and comfortable. The open plan kitchen has everything you could need and the lounge has two comfortable settees. TV and DVD player to be found here. The patio doors open to a self contained garden complete with sandpit. Excellent views of paddock and trees are here along with the frequent deer after which the cottage was named, presumably. The cottage also contains numerous litrature about the surrounding area and David and Joce are more than happy to share their extensive knowledge of the area and advise you if you wish. We slept extremely well in the comfy double bed and next door a cot had been set up for the little one who amazingly slept every night through for 14 hours! Unheard of. Must be a mixture of the fresh air and comfy cot. Joce very kindly introduced us to Gill the Shetland pony and little was given a short ride on her which she enjoyed. David and Joce are really friendly hospitable people and the area/cottage is beautiful. I can give it no higher reccommendation other than to say we hope to return as soon as possible! A wonderful place for a relaxing break with the friendliest hosts you could imagine. You won't want to go out! Perfect for three generations from children to grandparents and much more living space than you may expect. We stayed in the cottage over the Christmas period. What a great decision this was. The cottage was beautifully decorated with Christmas ornaments and a lovely, fresh Christmas tree. A really nice touch was a wrapped Christmas gift for our little boy along with a Christmas hamper. The hosts, Joce and David couldn't of been more friendly and welcoming. The toys they supplied for our 10 month old were fantastic and gave us more ideas of different toys he likes! They were also a useful source of local information regarding things we were interested in. Joce and David took the time to give our little boy a special experience of riding a pony and meeting their beautiful dogs and chickens. The cottage itself was very comfortable and due to the wet weather we were happy to spend much of our time relaxing there. A perfect first Christmas with our little boy. Hope to come back in summer. Thank you Joce and David! We had an absolutely wonderful short break at Fallow cottage. Stunning setting. David and Joss being the perfect hosts. Our kids had a marvelous time riding on the little ponies - we have arranged riding lessons for our daughter now! We'll be back. So much to do and see in the New Forest. Joce and David were wonderful hosts and helped us make the most of our short break at the cottage. Our 14 month old had a fabulous time with the horses and Joce kindly let him have a ride on Jill the Shetland pony - a great experience for him and us! We loved the goodies left for us especially the brownies! The cottage was well equipped. Thank you for a lovely weekend. I wanted to echo the comments from the other guests at Fallow Deer. From the moment we arrived we felt really welcomed and relaxed. David was away when we arrived, but Joce was a fantastic hostess. Always there to answer questions and give recommendations for places to visit. George (2yrs) loved it more than we did and still remembers when he rode on Jill the shetland pony and collecting the eggs in the morning. By the way, we were also in for a treat when David returned as he was driving a beautiful Aston Martin DB5 which my husband and Dad were very impressed with! We would love to return as it is in a beautiful setting (deer right up to the back garden) and not least for a second batch of the delicious brownies! Highly recommended to all! Very friendly people. Great with the girls. Accomodation had so much to offer for a family. Excellent. We had a fantastic stay at Fallow Deer. Everything we needed for our 3 year old was there - including the offer of a ride on Jill the Shetland Pony! David and Joss were fantastic hosts - David was incredibly prompt at answering any questions we had prior to our arrival and Joss baked us some fantastic brownies for our arrival :0). The location is great for the little ones as it is so central in the New Forest - we had to drive with our windows down for most of the time so our little one could talk to the wildlife as we passed the donkeys, cows and horses in the roads. Also, the location is spot on for Peppa Pig world at Paulton's Park - so really, there is EVERYTHING you need!! Wonderful stay. Great accommodation and lovely, friendly hosts. Best long weekend we have had since having our little one! The hosts could not have made us more welcome and what a fabulous location. Lots to do at the lovely cottage, which was very much felt like home when we were there, and the area was fabulous for both parents and children. Will definiately be returning. We had a fantastic stay at Fallow Deer Cottage. The owners were so kind, helpful and hospitable and went out of their way to make the stay extra special for our three year old daughter. She loved the toys provided and giant sandpit, and we all enjoyed being able to watch horses and deer in the meadows from our windows or garden. Most of all our daughter loved being able to groom and ride the Shetland pony. 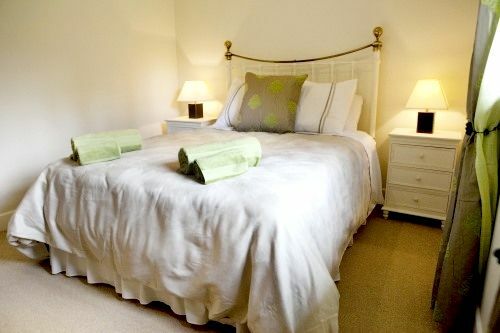 The cottage interiors are comfortable and very stylish and there is a pretty garden. We were lucky enough to have a glorious sunny weekend so we spent a lot of time outside. It was very special to be surrounded by nature and feel so removed from the stresses of normal everyday life. A lovely treat. We received a very warm welcome from Joce and David when we arrived including a freshly made loaf of bread, eggs from the chickens and the most delicious brownies i have ever tasted! They offered us guidance and advise throughout our stay and made us feel very welcome. My daughter loved riding the shetland pony and waking up to the horses and dogs outside our back window. If the weather was better on our stay we would have definitely utilised the sandpit and paddling pool available also. The cottage is very well equipped, clean and well maintained- a real home from home. Would definitely recommend! Fallowdeer Cottage was stunning. When we first looked at it on the website, we were slightly worried to see more availability than for others. We didn't realise that was simply because it's such a new listing. We loved everything about it. The photos don't do it justice. From the moment we turned off the little lane, over the cattlegrid up the long, tree lined private drive to the main house, we were wow-ed. The internal and external facilities were as luxurious as you would expect from babyboltholes. We loved the elegant (wonderfully homely, not clinical) interiors, our private garden with sunken sandpit and brand new BBQ furniture, the incredibly well stocked kitchen, the true country feel with chickens and horses (and, of course, deer) all around and the wonderful peace and quiet. However, the warm welcome of the owners definitely gave it that added edge. They were absolutely charming, laid on lots of generous personal touches and simply couldn't do enough to help. It was more like staying with friends than a paid rental. Having said that, I don't know many friends who are also professional caterers and can provide a catered dinner, delivered to your door, at the perfect time after a little one goes to bed. Heaven! My only reticence in writing this review is that once other people cotton on to how great FallowDeer is, we fear they'll beat us to future bookings.... Highly recommend. We've just returned from a three night break at Fallow Deer Cottage and what a fantastic break it was. The owners, Jos and David, are the perfect hosts, keen to make sure we had everything we needed while at the same time respecting our privacy. We arrived to find a freshly baked loaf of bread, eggs from their hens, a dairy free cake (my dietary requirement) and even a bottle of bubbly. The cottage was tastefully decorated and was surprisingly large with plenty of room for the three of us. Jos and David have put much thought into providing everything needed for young children. Our son had a proper cot to sleep in with lovely bedding, more toys than he knew what to do with and a sandpit and paddling pool in the cottage's private fenced-in garden. David and Jos went out of their way to accommodate any of our requests from baking me a dairy free cake, organising our bike hire, and most excitingly taking time out to give our son a ride on their Shetland pony. How refreshing it was to find a cottage that combined our baby friendly needs with our desire for luxury accommodation. 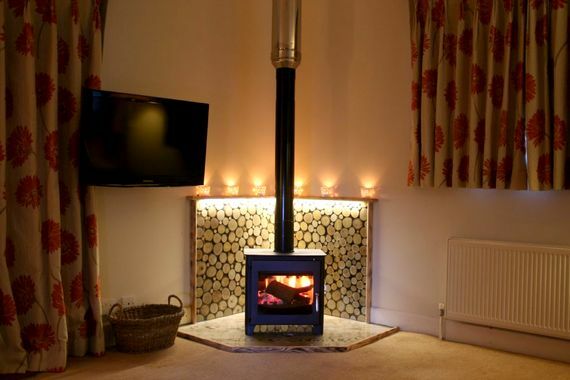 We would highly recommend Fallow Deer Cottage to anyone wanting a relaxing family holiday. We had a wonderful stay at Fallow Deer Cottage. David and Joss are fabulous hosts, making us feel welcome and comfortable from the first minute. Our 6-year old son, Ciaran, told us before we arrived “I don’t like nature”, but thanks to Joss in particular, he ended up feeding the animals and riding Misty the pony. Our 2-year old daughter, Orlaith, who is a bit braver, also enjoyed herself immensely. The cottage itself is perfect – well equipped and decorated, and if the weather had been kinder, we would have taken advantage of the lovely garden. Finally, the supplies waiting for us on arrival – freshly-baked bread, eggs, bubbly, and (best of all) a big tin of chocolate brownies – were a special touch. We will definitely book again.